6 hotels with a sea view are waiting for you in Chatelaillon-Plage. Châtelaillon-Plage is located in the north of Charente-Maritime. 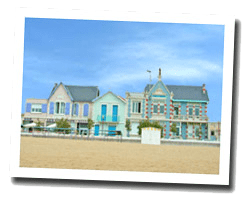 There is a long sandy beach facing Oléron, Ré and Aix islands. At the seaside you can find ancient seaside villas. Les Boucholeurs is a picturesque village and a production site for mussels and oysters. 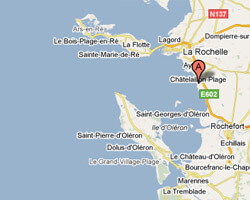 In Châtelaillon-Plage enjoy the pleasure of a sea view hotel.